Silk-screened cotton fabrics, fabric paint, buckram, glass beads, thread. palpable presence, pleasure, and burden of language." 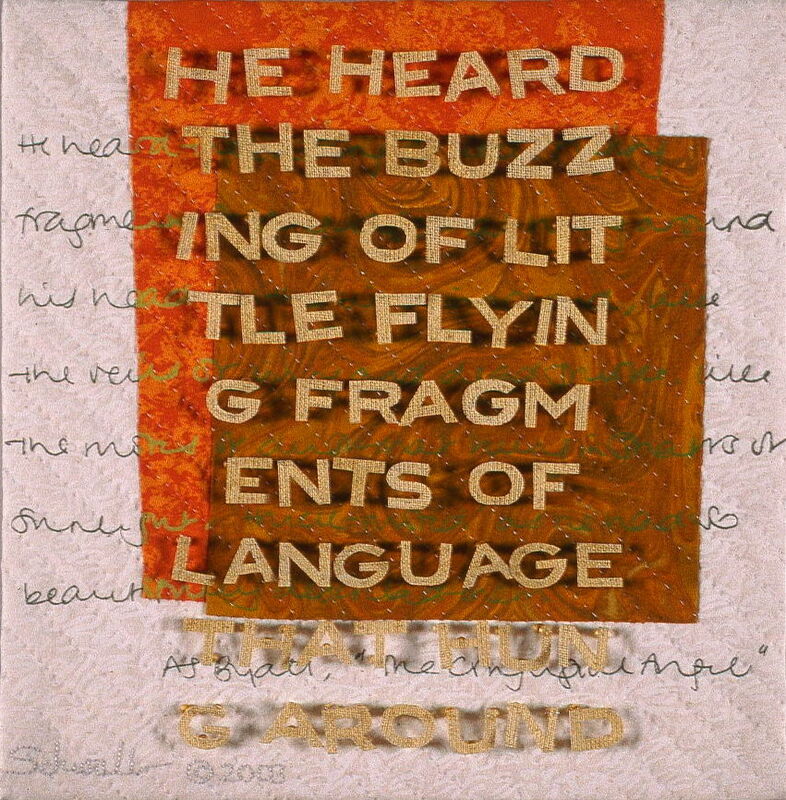 "He heard the buzzing of little flying fragments of language that hung around his head all the time in a cloud, like the veils of living and dead smoke, like the motes of dust that hung in shafts of sunlight..."